Drug usage, both medical and illegal usage, grows substantially every year. As a result, the number of deaths caused by overdose continues to rise as well. 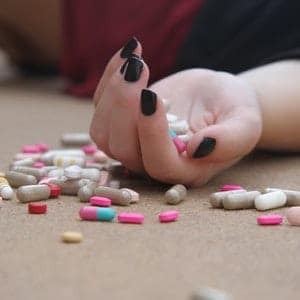 In 2017, the National Institute of Drug Abuse (NIH) reported that there were more than 64,000 reported overdoses with 20,000 of those overdoses resulting in fatalities. The NIH considered both prescription drugs, such as painkillers, as well as illegal drugs such as Heroin. For the unfortunate family members who are left after an overdose has occurred, the question of life insurance is definitively an issue. If you or someone you know has had a friend or family member drug overdose, here is what you should know about the life insurance coverage of that person. The primary question which will be addressed by the insurance company is whether the death was a result of accidental overdose or if it was intentional. This is especially true if you have an AD&D (accidental death and dismemberment) policy/clause to your life insurance. Accidental policies are intended for payouts only in terrible injury outside of the person’s control (like a car crash or coma for example). Policies tend not to cover illegal drug overdose, as it is considered a self-inflicted death, even if the overdose was unintentional. Medical overdoses may be covered by the coverage payouts. Policyholders should pay careful attention to any accidental death clauses that their policy may contain. Most life insurance policies have such clauses which will cancel out the policy in the event of an O.D. Usually, accidental clauses are not common in individual life insurance plans, but are more common in organizational policies. The duration of the policy prior to the O.D. Accidental overdose is covered by most providers if the policy has been in place for more than two years. The overdose must be from a prescribed medication and not an illegal substance. Also, the application must be current and medical history and narcotic use must include the medication taken at the time of the person’s demise. What was the drug ingested? Almost every insurance company’s life insurance policy will be voided if the drug ingested was illegal. Clauses in the policies will state that any activity which could and would result in a felony charge, or any activity which knowingly puts the person’s health and well being in substantial risk of death or injury, voids the policy. Additionally, some insurance companies have a suicide clause in the plan which would come into effect if the drug was illegal. In cases where there is not an illegal drug use but a prescribed medication which resulted in the fatality, some insurance companies may opt to deny the claim based upon “material misrepresentation”. The premise of this argument is that the person with the condition may not have represented the medical needs and history of medications needed to combat whatever illness he or she was taking the medication for. Thereby, the life insurance policy can be canceled as a result of misrepresenting the medications and treatment history. It is vital for your policy that you are transparent with any and all medications and health issues that you have to avoid running into such a breach. What to do for high-risk persons? Unfortunately, there is not a great deal that can be done for a person who has a drug addiction problem. It is encouraged that rehabilitation and intervention be the main focus. However, if you feel that the person’s lifestyle may lead to death, some insurance companies will allow you to put a suicide policy (an additional coverage to your life insurance policy) into place. Keep in mind that there will be a high level of stipulations and illegal drug overdose may not be covered by the policy. Read your policy carefully, if you have any questions about your life insurance, ask your agent. There may be policies and clauses which you can add to your existing policy to cover drug overdose. Although life insurance may not cover the deceased, if you have medical insurance, you may be able to deduct the cost of any medical bills incurred while trying to prevent the overdose or resuscitate. You will still need to co-pay, and your medical insurance provider may deny your insurance claim if the substance was illegal. However, for medically prescribed substances, most medical insurance has a policy in place to cover any accidental O.D. And while this may not be the full life insurance coverage, it does beat having to pay all the expenses out of pocket.